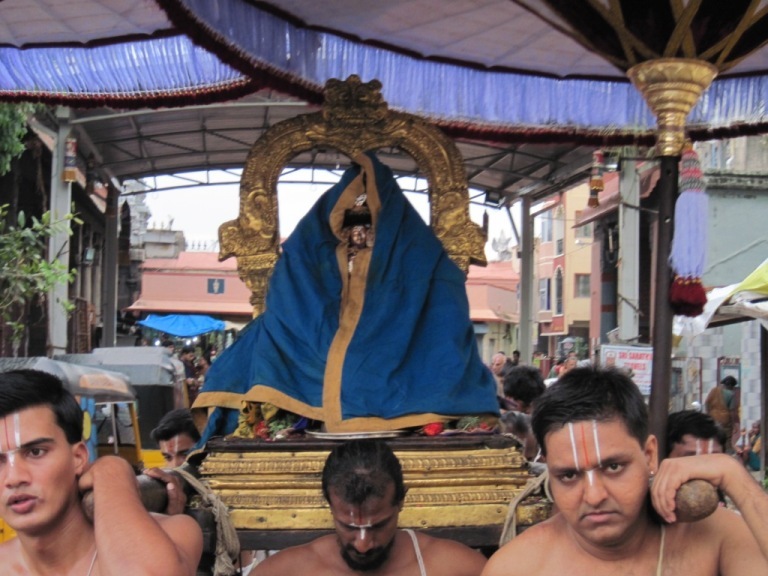 Our Acharyar in his ‘Upadesa Rathina Malai’ hails the day as ‘ Periyaazhwar pen pillaiai Aandal pirantha thiruvadipurathin seermai’. Uyyakkondar says in the thanian visualizing Srivilliputhur as a very special Divyadesam where Hamsam [anna pakshi] known for its power to separate milk from water are abundant and hails Andal for the verses with which she offered garlands to the Lord. 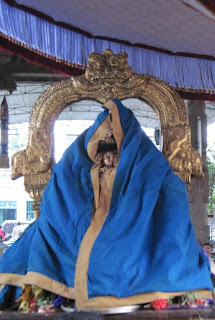 Andal in one of her verses calls for rain for the benefit of humanity ‘theengindri nadellam thingal mummari peiyuthu’. Sunday 31st july 2011 was the 8th day uthsavam – there was rain and here one can have darshan of Thiruvallikkeni Andal covered for the rain. 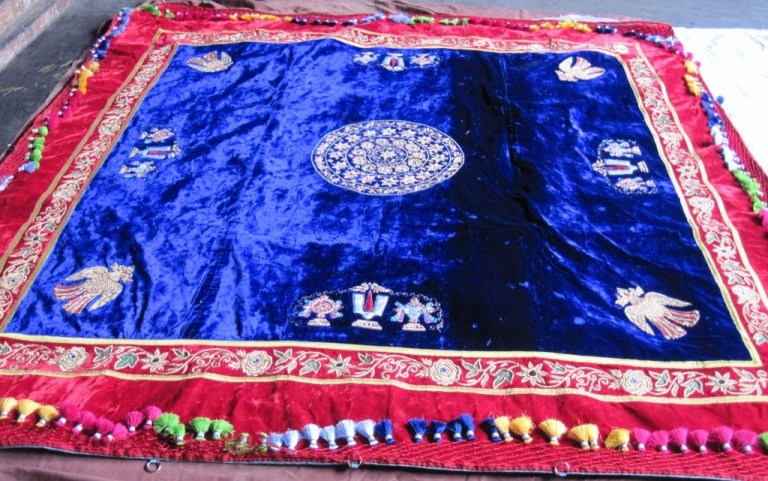 Here is a photo of a beautifully handicrafted velvet kooralam [the one kept on top covering the mantap] made for Andal and donated by a baktha in Triplicane.